“Herbalist’s kitchens are special places. Go ahead, follow Susan into her kitchen— I promise you’ll be safe, and soon delighted and enthralled with the flavors and healing powers of culinary herbs. 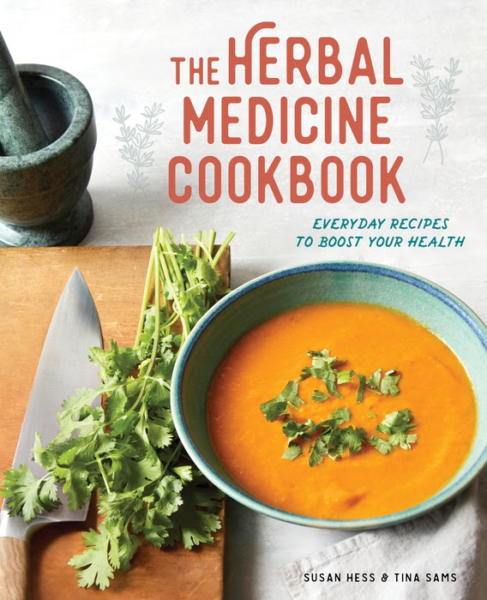 Susan has given us one of the most welcoming, encouraging and accessible guides to using herbs that I have encountered. It’s practical, beautiful and well organized, full of reliable information and wonderful creative recipes. I especially love the examples and images she uses to illustrate energetic concepts like cool and damp, descriptions that really bring them to life in our minds. Preparing food with herbs in accordance with these principles to keep us in balance and help us heal is inherent in traditional cuisines, and this wisdom is tragically being lost in mass-produced, packaged-food diets. I sincerely hope you will invite these herbs into your own kitchens daily for the benefit of your own and your loved ones’ well-being!